Big news....great news! Soon after their new album appeared, Los Outsaiders are being summoned back to Lima, Peru. The band will be opening for "The Killers" on 27 March! And then back to Mexico City and then........if it keeps up like this - the world. Their album "El Asesino del Rey Peste" is turning heads and proving that rock and roll hasn't died. It is alive, well and infectious. Catch it. A very belated Happy New Year to music fans everywhere. Within the big world of popular music, Zip Records maintains its corner of the action and on the horizon for 2018 are some exciting releases and events. No need to memorize these; we will send constant reminders. Los Outsaiders wrap up their home stand in Peru during January and thereafter return to Mexico City. The band's much anticipated second full length release "El Asesino del Rey Peste" is out on January 26. This album will be rolled out throughout the world in conjunction with live appearances in Peru, Mexico, the U.S. and Europe. After two successful singles in late 2017 (Fuel My Fire and Stranded), Birgit's long awaited full length album will come out in March 2018 throughout the world. "Stranded" has far exceeded 200,000 hits on Spotify in little over two months and the publicity machine has barely started. She comes from a small country (Netherlands) but the world is taking notice! Birgit is a household name in Holland and her voice is pure "pop chanteuse.". Monique is being rediscovered for her sophisticated takes on classic pop music. Her original songs create a modern sound for 21st century sensibilities while staying true to song craft made famous in the 1970's. Following a successful 2017 EP "Coool" , the Dutch singer will be releasing an EP, several singles and a bevy of songs labelled as aphrodisiacs for the soul. First up......"Sleeping Pill". The saxophone legend Hans Dulfer has teamed up with longtime bandmate/drummer Cyril Directie for an April 2018 release of songs which sound like jazz standards but are original and fresh compositions born in Utrecht for the world to savor. The first new album in almost twenty five years for 77 year old Dulfer and a rare chance to enjoy the talents of drummer Directie - deemed by many the top of the crop in the Netherlands. At this time, all we can announce in the month - September. The new album by one of the most revered Dutch singers of our time is untitled but being recorded as we speak. It will warm the hearts of her fans this fall. Sabrina Starke's debut Platinum album "Yellow Brick Road" paved the way for almost a decade of hits and sold out appearances - leading us to her 2018 album and extensive Benelux tour. This is BIG! Peru's up and coming band "Los Outsaiders" is a force to be reckoned with. Their songs are blasting from radios and stages throughout that country and the new album is out on January 26. After a last series of Peruvian shows, the album "El Asesino del Rey Peste" will be released throughout Latin America, the USA and Europe. 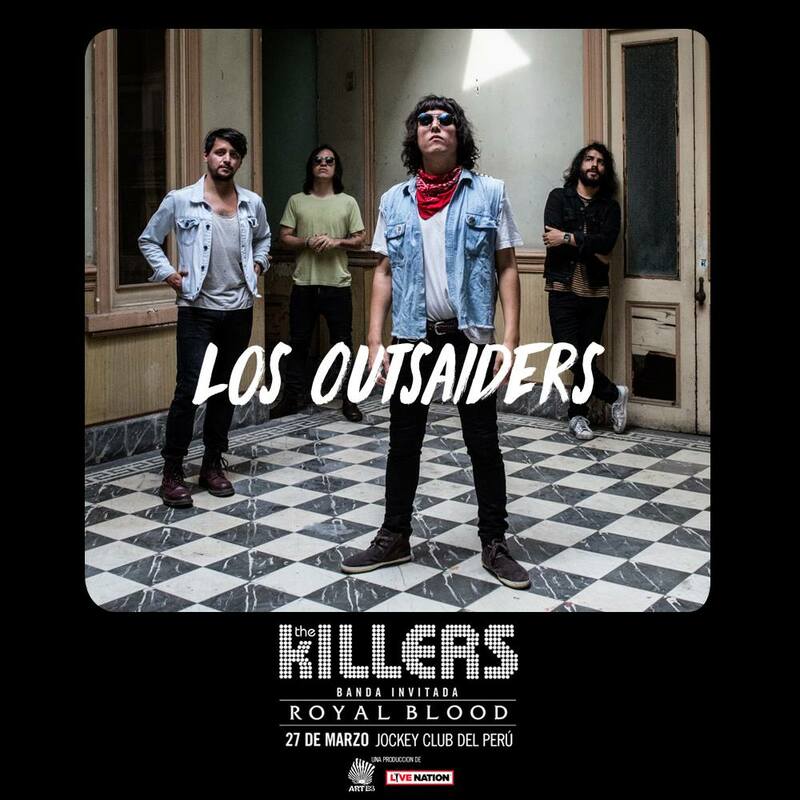 Returning to their newly adopted home in Mexico City in February, Los Outsaiders will be seen in all three continents in 2018. Listen up.... this is the past and future of rock and pop in español - and any language. Los Outsaiders are prepping for the BIG one! The release of their new album in early 2018 demands some early attention. The Peruvian rockers have the charm, the chops and the chatter. And they have a last show in Lima (in the cool neighborhood of Barranco) before they head back to Mexico City for a busy year in the capitol. 15 December from 9:00 PM to 2:00 AM at Calle Manuel Segura. Lima. Los Outsaiders are a rock band with more than a little influence from the godfathers of pop music (Beatles) and a lot of 90's and 00's flavor. Hailing from Lima, Peru, Los Outsaiders are a quartet with songs that work in all languages. Their rum fueled garage rock and rollicking shows are the stuff legends are made of. Los Outsaiders have quickly ascended the ranks to become one of the most prominent bands in Peru’s indie rock scene. After forming in 2011, Los Outsaiders caught the attention of Gordon Raphael (The Strokes, Regina Spektor), who produced their first album, Outsaiders (2014). Since then, the band has toured throughout Mexico, appeared twice at South By Southwest in Austin, Texas, and performed at Primavera Sound Festival 2016 in Barcelona, Spain. 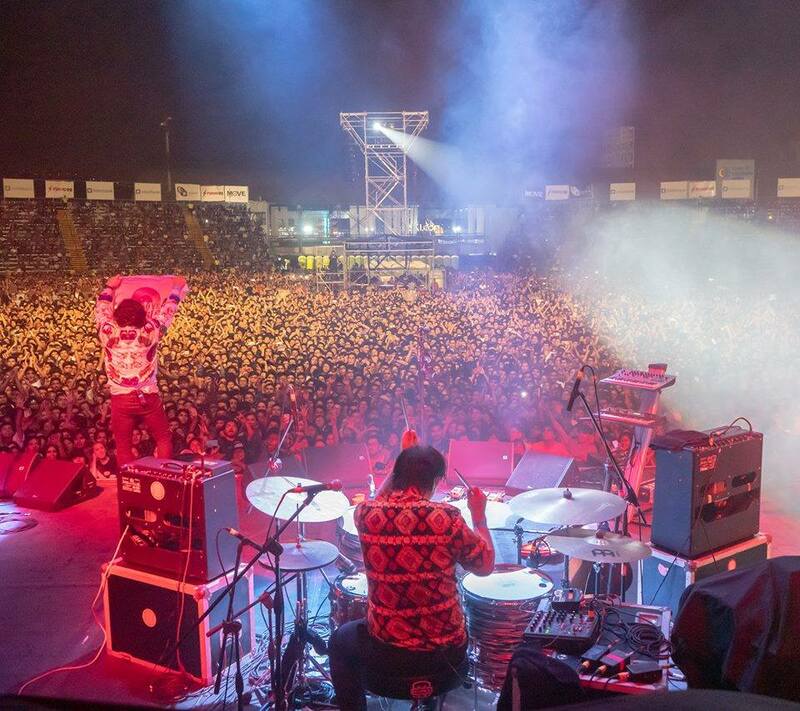 They’ve also shared the stage with The Vaccines and Foals in their home city of Lima. Ahead of their new album with Zip Records, Los Outsaiders recently released two singles, "Magia" (2016) and "Hombre Muerto" (2017). The new album, to be released in early 2018 will be produced in both Peru and Mexico. In addition to touring Latin America in support of the new one, Los Outsaiders will be engaged in a US and European radio campaign. The new album will be available in CD format as well as accessible through worldwide digital sites. Whether labelled rock, pop, rock en Espanol, the songs are melodically charged soundtracks to our multilingual and multicultural universe. Los Outsaiders are planning to relocate to Mexico City later in 2017 and their future looks bright.